Each rule allows you to define a primary and a secondary list of servers (called targets in GSLB.me parlance). The primary list is used when there is at least one primary server available. The fallback list is used to direct clients to alternate servers in case all primaries are unavailable. Primary and fallback lists support their own balancing algorithm: this enables a powerful, easy to configure, DNS georouting infrastructure. Primary and fallback targets are automatically geo-positioned, enabling fast rollout of your geo-routed services. 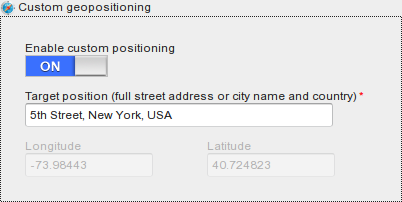 For additional flexibility you can enable custom geopositioning to manually define where your servers are, based on their geographical position. In addition to DNS georouting, GSLB.me also supports proximity balancing, where targets are selected based on their vicinity to the requesting client. Learn how to configure DNS georouting by reading our howto.